If a white Christmas is the opposite of what you’re looking for, you’ll love the holiday fun San Diego has to offer. From seaside ice skating to a festive boat parade, here are some of the ways locals love to ring in the season. I grew up in San Diego, and I’ve often been asked by friends from the East Coast how I could tell it was the holiday season without snowfall. Easy! Beyond the date on the calendar, my hometown was — and still is — full of festivities during the holidays. 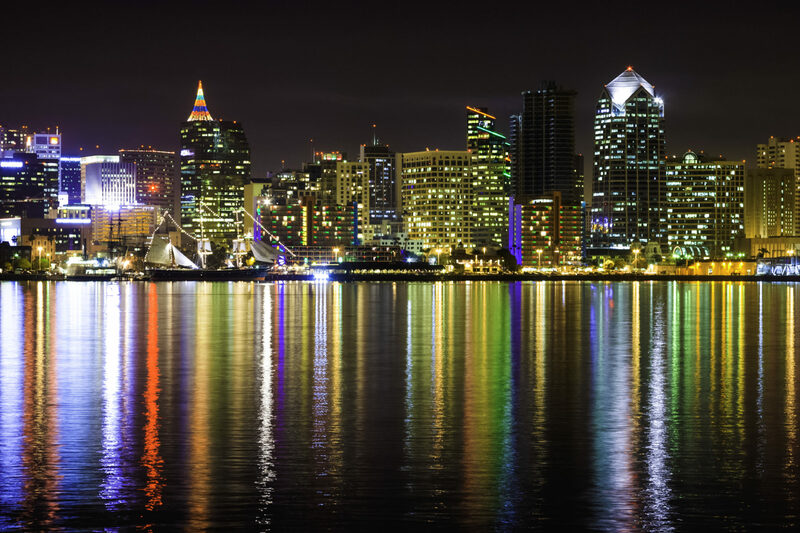 In fact, San Diego may be 70 degrees and sunny between Thanksgiving and New Year’s Day, but you can still enjoy hot cocoa, ice skating, holiday lights and more. It’s an annual tradition in my family to sign up for a turkey trot on Thanksgiving. Though we’ve tried a bunch throughout the county, our favorite is the PMCU O’Side Turkey Trot in Oceanside. We run the 5K, but there’s also a 10K, a senior mile, a kids’ mile and quarter mile and a 5K walk. 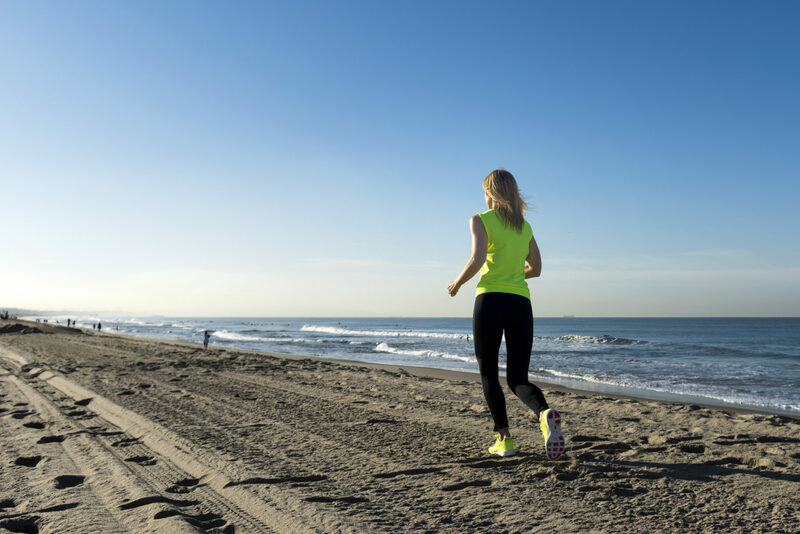 For runners looking to finish well and burn some calories, the races start and end flat, with a generous downhill in the middle. All courses finish along the Pacific. Participants can get in the spirit by wearing costumes — we usually see plenty of turkeys and Santas — and finishers receive a medal at the end. If you choose this race, you’ll have plenty of company: when I participated in 2015, it was the second largest in California and the eighth largest in the country. Locals also come out in droves for the San Diego Bay Parade of Lights, held on the second and third Sunday of December. Book a spot on one of the many bay cruises running on those evenings, or grab a patch of grass along the water and enjoy the show al fresco. Either way, you’ll be treated to more than 80 locally owned boats blaring holiday music and decked out with lights and decorations. The parade, which has been a local tradition for nearly 50 years, starts at Shelter Island and circles the bay before ending in Coronado. The world-famous San Diego Zoo stays open late throughout December to allow visitors to partake in all sorts of holiday fun. The Jungle Bells celebration includes tree lightings, bell ringers, carolers and festive food offerings. Kids will love the train ride through the North Pole and exploring the lit-up Northern Frontier Holiday Forest. You’ll also spot lighted animal sculptures scattered throughout the zoo. A short walk from the zoo is Balboa Park, originally built for the Panama-California Exposition in 1915. It’s now home to 16 museums, plus a range of gardens and sights like the Old Globe Theater, Spanish Village and the Botanical Building. The entire complex stays open late for December Nights, a popular weekend event that my family never misses. 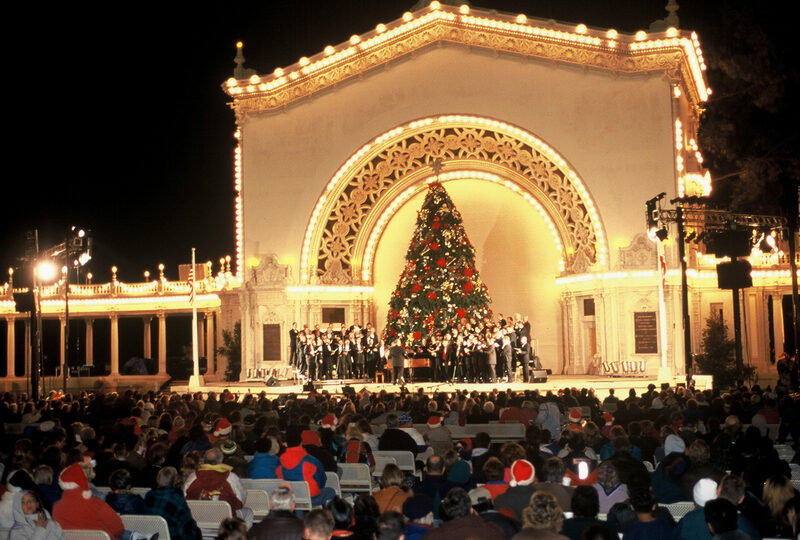 You’ll discover plenty of activities to enjoy, including live concerts at the organ pavilion, a traditional nativity scene, holiday shows and shopping. The park is decked with lights and decorations and live music plays around every corner. My favorite spot to stop is the international cottages, just a short walk past the Palm Canyon. Each cottage represents a country, welcoming visitors and offering souvenirs. Many also sell local delicacies ranging from tamales to kabobs to warm gingerbread. We love walking from stand to stand and piecing together a dinner with treats from around the globe. Ever wanted to ice skate in a T-shirt? 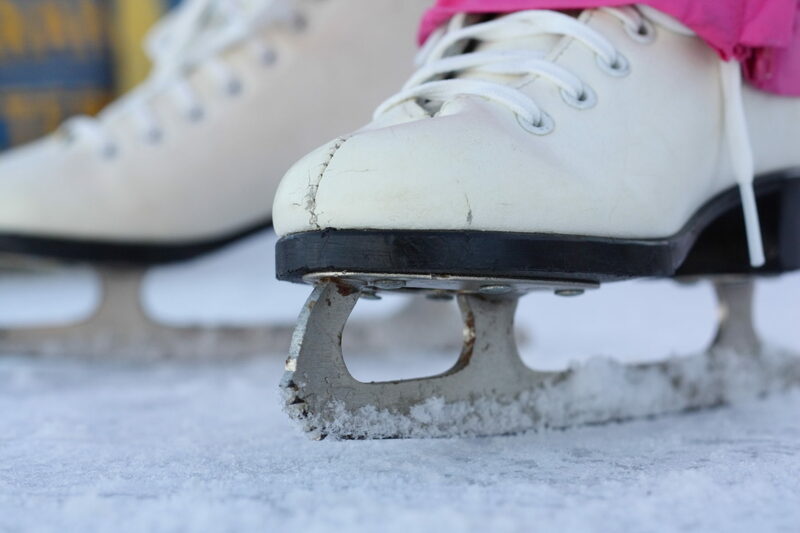 San Diego boasts several rinks where you can enjoy a little outdoor winter fun. The historic Del Mar Fairgrounds boasts the city’s largest al fresco rink every December for Frozen Fairgrounds. Enjoy skating, music and festive food offerings, along with the opportunity to skate with San Diego’s own professional hockey team. The rink also hosts youth and adult ice hockey tournaments. Elsewhere, you can skate for a cause at Liberty Station, where all admission fees go toward the Peckham Center for Cancer and Blood Disorders at Rady Children’s Hospital San Diego. The scenic rink opens mid-November, so you’ll have plenty of time to get your skate on. Warm up post-skate with a tasting flight and some delicious food from Stone Brewing World Bistro & Gardens at Liberty Station. This downtown-adjacent outpost of the renowned San Diego brewery offers a wide range of rotating taps, with some beers brewed on site, and an extensive food menu, including the excellent Sriracha-honey-glazed quail knots and charred Brussels sprouts fried with seasoned pancetta lardons. Downtown San Diego gets decked out for the holidays. While you can take in the show from the street, nothing beats a visit to Mister A’s, a local institution that takes views to another level. 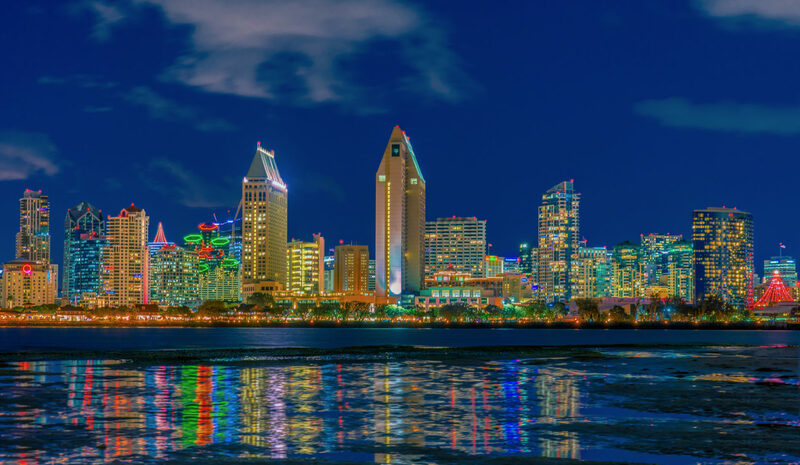 Opened in 1965, this popular restaurant specializes in steak and seafood and is located on the top floor of the Fifth Avenue Financial Center, with panoramic views of downtown, the bay and the Coronado Bridge in the distance. Grab a corner table and admire the skyline speckled with holiday lights. 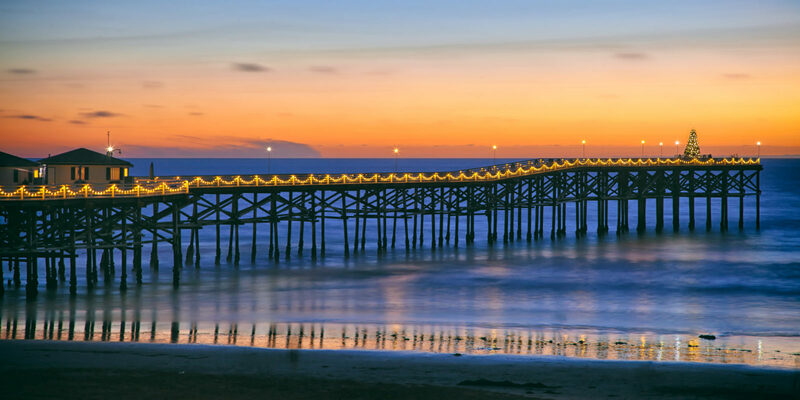 Staying in San Diego through New Year’s Day? College football fans can check out the Holiday Bowl hosted at Qualcomm Stadium. In its 40th year, this New Year’s Eve matchup pits top-ranked teams from the Pac-12 and the Big 10 against each other. Catching all the action will definitely kick off your year right.